This will be a short little blog. I just want to document the weather today in Wisconsin. It is September 15, 2017. By now we are usually turning the corner into fall, but today felt like anything but fall. I'm not sure, but this could have been our first 90 degree day of the summer. I guess it is still summer for another week. I noticed the car temperature was 89 degrees late this afternoon. No matter what, it was very unseasonable. We started out the afternoon going to Aldi's grocery shopping, but on the way we got side tracked because it was such a beautiful day. We stopped at a lighthouse in Fond du lac, WI and walked up four flights of steps to the top. It is open to the public with no admission fee. We were surprised how windy it was up there because it was very hot on the ground. 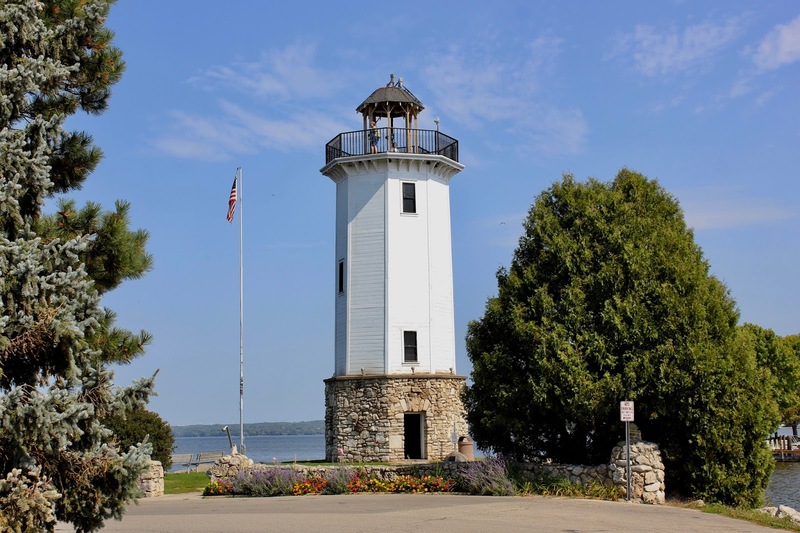 The lighthouse was built in 1933 and looks over Lake Winnebago. This lake is very large and covers 137,000 acres. The Upper Fox River flows past our house, travels for many miles and spills into this lake and the Lower Fox River flows out of the lake and into Lake Michigan. 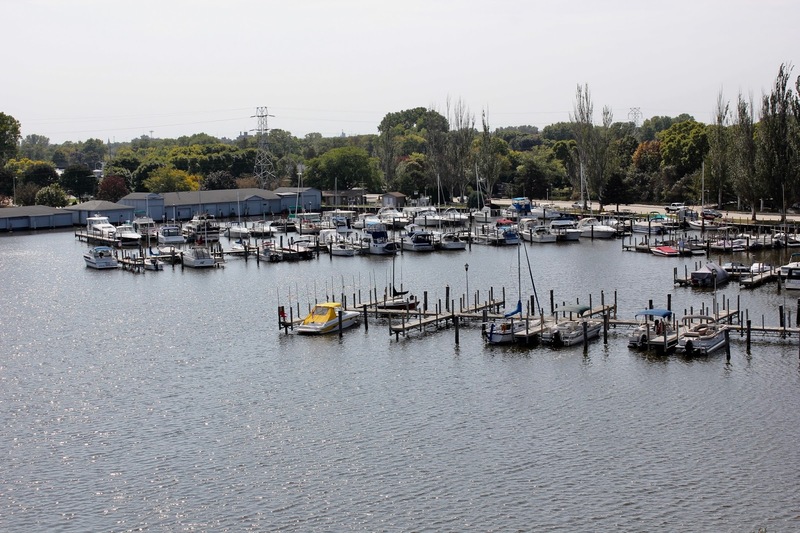 The Fox River is one of the few rivers which flows from south to north. From the top of the lighthouse we could see out onto the lake. There was very little activity considering how nice it was, but I imagine most people are finished with their summer vacations and are back to school and work. 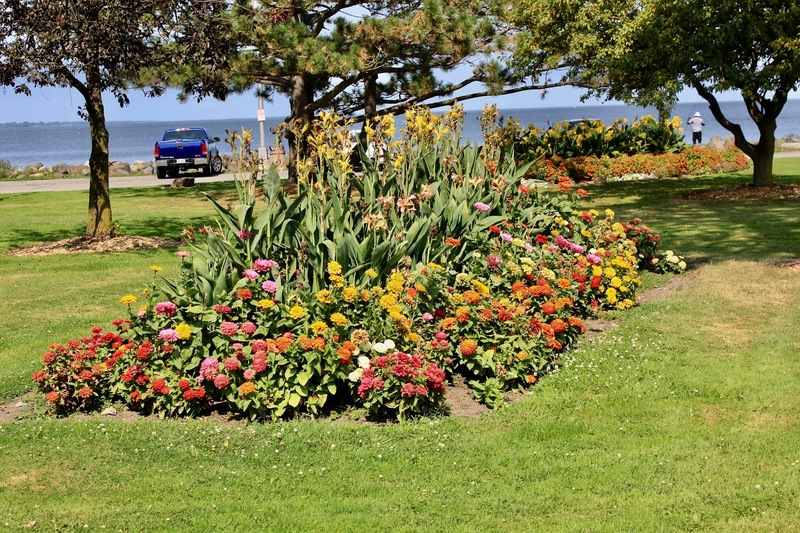 We could also see the marina and the beautiful flower gardens in Lakeside Park. 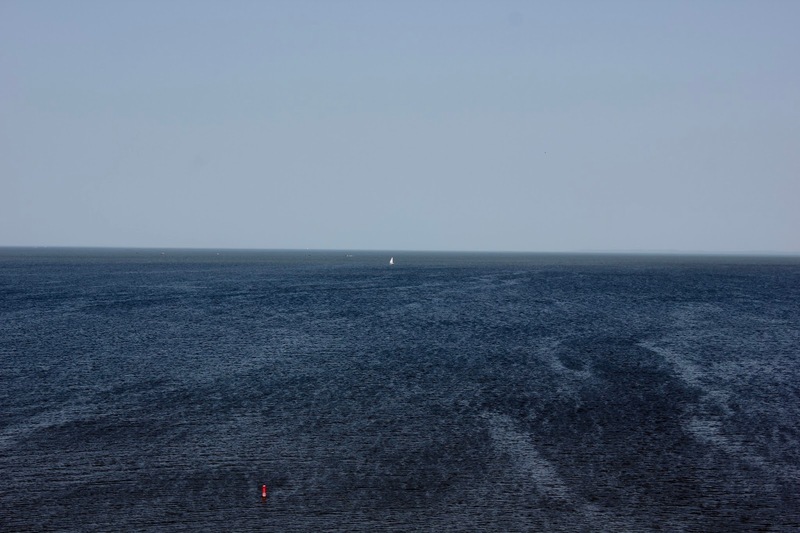 A view of Lake Winnebago. 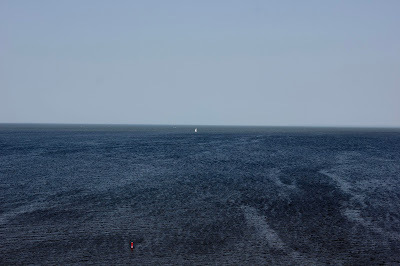 A sailboat can be seen in the distance. A view of the marina. One of the many flower gardens in the park. After we left here, we noticed a thrift store that we hadn't seen before. It was very nice, clean and inexpensive. So many thrift stores have items that cost as much as a regular store. I got two good deals. I got a large pizza paddle for removing a pizza from the oven safely. It cost $1 and a tripod for $3. The tripod can be used on a table top or extends to at least three feet. Finally we stopped at the grocery store. We didn't need much so it was a quick stop. It was a great day. We didn't leave home until afternoon, and returned in time to make dinner at home. Anything that needs to be done at home can wait. Days like this should be used for fun adventures.